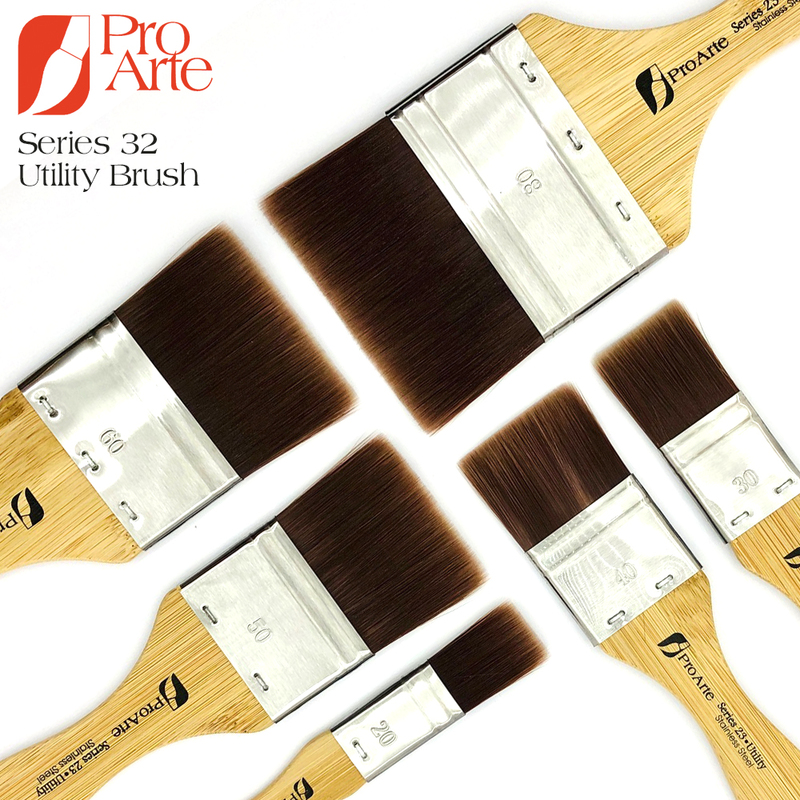 The Pro Arte Series 23 Utility Brush is a durable, synthetic brush with a flat profile that is ideal for varnishing and blocking in colour. This Utility Brush is made from a soft tipped, responsive fibre which has great colour carrying capacity and is incredibly hard wearing. Its soft, feathered tips lay down colour smoothly and give a professional performance. This brush is excellent for coating and varnishing as it will not shed hair or leave brush marks. It’s handle is manufactured from sustainably sourced bamboo that not only has a good weight in the hand but also stands up well to repeated exposure to water. The ferrule is also rest proof and has a brushed stainless steel finish.